Although other technologies compared to FACTS are available in the market such as the Static VAR Compensation and also used on a large scale. But the idea introduced by FACTs has increased the market for controllers based on thyristors which will transform the powers system in use. The benefits of this technology are the ability to control the power flow through transmission routes in addition to the loading to full thermal potential of the transmission lines in a secure manner. Although FACTS tech offers a lot of benefits but there also arises the need to install new transmission lines or to simply upgrade the already installed lines whose thermal limits have reached their maximum capacity. Capacity. This solution also requires adoption when it is evaluated that new lines installation or up-gradation of the previous ones is the only better option when considering the losses in comparison to the price of FACTS technology. Inflexibility is considered to be a feature of AC transmission systems and because it follows Ohm’s law it cannot be made to move through specific paths resulting in parallel pathways and loop movement. The flow of power from source to load is inversely proportional to the relative impedances of the transmission pathways. Maximum flow is taken by the low impedance pathways with all the interconnecting lines a part of that pathway. Hence the services not falling in the interchange power transaction are most likely to be affected. The basic idea of FACTS is the power flow can be forced along a specific contract path if the apparent impedance of that specific transmission line is repeatedly varied. FACTS gadgets allows control over the impedance of the transmission lines and on this basis even after experiencing variations in external AC networks in load levels, movement of power can be kept constant along a specific path. All this makes it further easy for the system to react as planned if an emergency arises. The behavior of the uncontrolled power systems can be improved by specifically designing the FACTS controls for this purpose. This technology does not offer just one high-power electronic controller but instead a set of controllers which can be used on a precise power system as and when desired, either individually or in a collective manner. Thyristors is the main part in FACTS controllers. Parallel technology is being employed to design controllers in order to achieve a flexible transmission system whose usage will strongly increase due to large production and continuous advancement in the field of high power electronics. 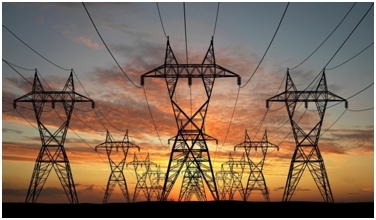 Electric power networks supply the power to a single main generation and load center and from there a network of interconnection develop in the neighboring system also transferring power to regional grids distributed along a large area. Benefits of this technology thus include variety of loads, weather and time fluctuations affecting the peak demand, making access easier of various generation reserves over a wide geographic area, utilities working on power sharing, fluctuating fuel price, regulatory alterations and a few other inconsistencies. Surpassing the reservations of the currently used mechanical control devices. The thyistor controllers used in it makes the compensation of the reactive power easy. The temporary but energetic strength of the power system is also enhanced. 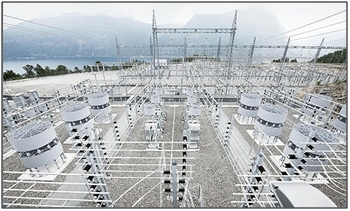 Enhanced power control, increment in the potential of the transmission lines up to their thermal limit and to stop cascading outages is also possible due to FACTS tech. Series impedance, shunt impedance, fluctuations below appropriate frequency and phase angle are the three main qualities of FACTS. The above features are rarely seen in a mechanical device which increases the importance of this system even more. Decreasing requirement of new transmission lines, capacitors and reactors etc. This was all I have to say about Flexible AC Transmission System (FACTS). Can you say anything more about FACTS? or copy this trackback: http://engineering.electrical-equipment.org/power-quality/flexible-ac-transmission-system-facts.html/trackback from your own site.